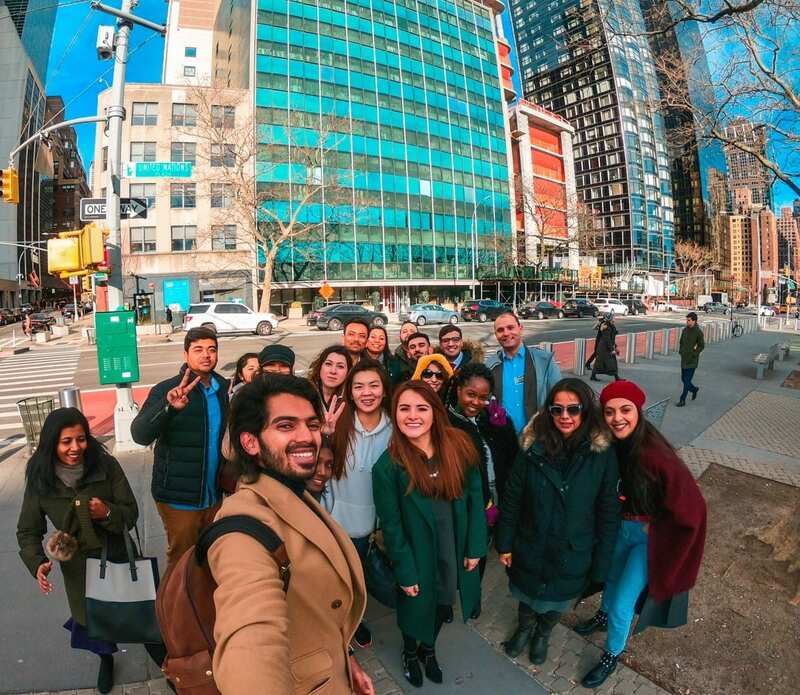 On 12th of January 2019 the GCU London MBA students had the pleasure to visit New York as part of the MBA programme. This amazing experience was led by our MBA Programme Leader, Thomas Peschken and the assistance of Dr Bipasha Ahmed. In New York, I acquired cultural knowledge from our visits to workshops and presentations and also a great understanding of traveling abroad with fellow students from different countries around the world. This trip was firmly linked with the United Nation’s 17 Sustainable Development Goals (SDG´s). The first week was an introduction of what the 17 SDG´s are and the Common Good. 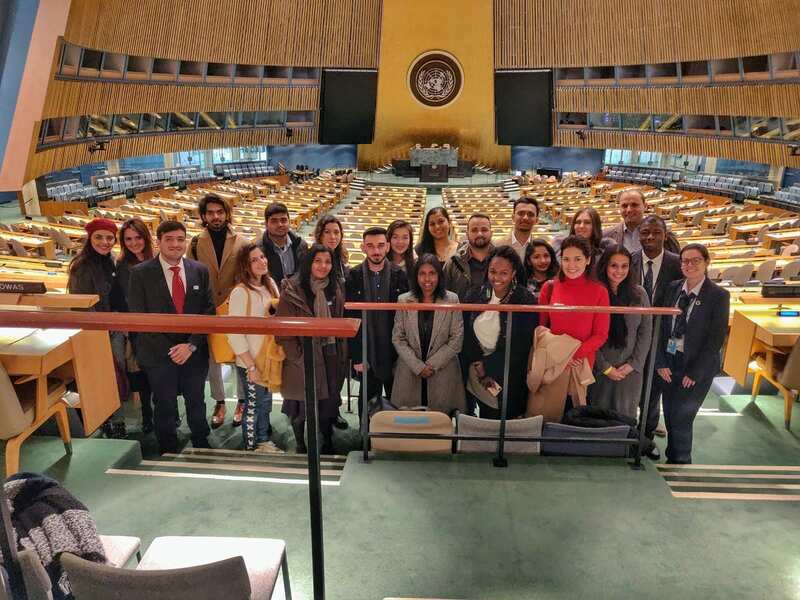 We were fortunate to visit the United Nations headquarter where we gained an in-depth understanding of how the United Nations work behind-the-scenes. During the visit, we toured the newly renovated General Assembly Hall, the Security Council Chamber and the Economic and Social Council. The tour guide was knowledgeable with a deep understanding of the UN, but more than that, he was someone who was interested in our backgrounds. Personally speaking, I was amazed by his knowledge about my country and my culture which made the visit much more interesting and unforgettable. Towards the end of the week, we had the opportunity to find links between our home countries and the US such as presenting to our colleagues different business and stories of entrepreneurs that left our home countries in order to find a better future in terms of education, economy or safety in America. 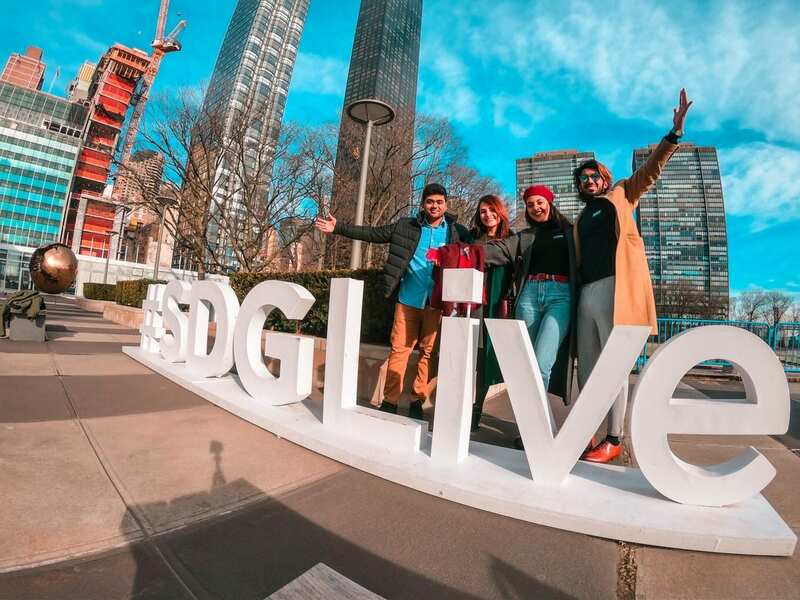 In line with this, we got familiar with the definition of ‘social innovation’, its link with the 17 SDG´s and its role in each of our countries by visiting the High Line, where we gained a better understanding of how social innovations can truly transform cities and societies. We also visited the Tenement Museum and its historical buildings which have a large history surrounding immigration in New York. This experience definitely gave us an overall view of the importance of tolerance towards immigrants in this big city. In my experience, I have visited New York before, but this trip really made a difference. In one of our presentations in the Glasgow Caledonian New York College, I mentioned to my colleagues that I had already visited places like the High Line but I had not been aware of its history and relevance for the USA economy and its support for entrepreneurs. This trip clearly shows how international experiences really enhance our understanding of cities, places and cultures and this is why this trip is invaluable for us all. To conclude, this trip was an insightful experience for the MBA students; it really opened our minds and enhanced our interest in understanding more about social innovation and development.